Having landed a Best Foreign Language Film nomination for last year’s Kon-Tiki, which dramatized Norwegian explorer Thor Heyerdahl’s dramatic journey across the Pacific on a small raft, directors Joachim Rønning and Espen Sandberg have been rewarded with another boat movie. 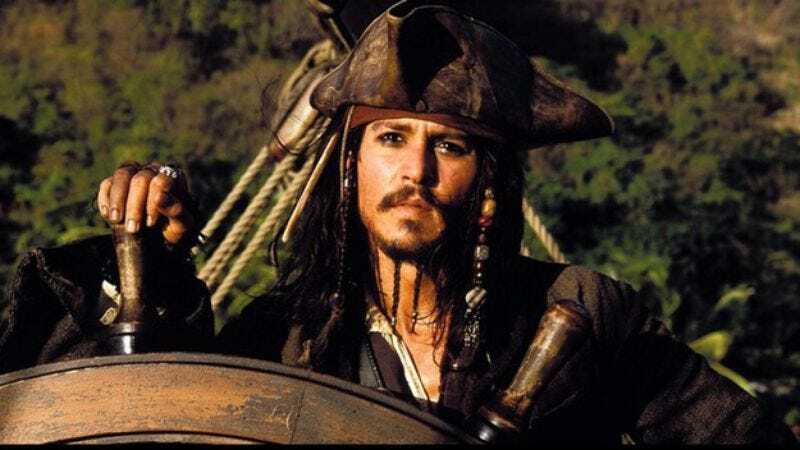 Indeed, the biggest boat movie of them all, Disney’s Pirates Of The Caribbean 5: Johnny Depp Is Still Drunk On A Boat On Misty Rolling Tides Of Intrigue Or Whatever, which the duo landed after considerable competition from directors like Rupert Sanders. “It’s a case of these guys getting hot at exactly the right time,” Deadline says by way of explaining Disney’s attraction to them, because Disney is shallow like that. Also, “they made a lot of movie with a little money and showed they knew how to shoot on the water,” at least one of which is a concern for making any Pirates Of The Caribbean movie. This latest sequel is expected to begin filming later in the year from a script by Jeff Nathanson, who’s previously stepped into existing franchises with his screenplays for Indiana Jones And The Kingdom Of The Crystal Skull, Rush Hours 2 and 3, and Speed 2: Cruise Control. One of those was also on a boat, so we’re good.